Venezuelan president Nicolas Maduro announced a series of economic measures as part of the country’s Economic Recovery Plan. 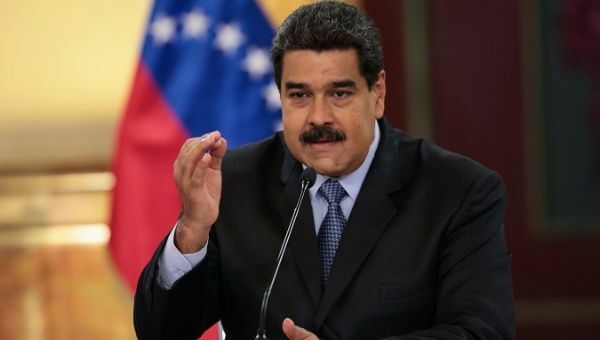 August 18 (teleSUR) Venezuelan President Nicolas Maduro announced Friday the increase of the national minimum wage to half a Petro (the country’s recently-launched cryptocurrency), or 1,800 sovereign bolivares. Although Maduro did not specify a date for the increase to go into effect, he explained the government would assist small and medium-sized industries by paying for the wage differential for 90 days. The move is a part of a wide range of economic recovery measures announced by the country’s government, several of which, will begin on August 20 when a new currency will begin circulating in Venezuela. The new currency, the Sovereign Bolivar, will replace the Bolivar and be anchored to the Petro cryptocurrency. The announcement was made in the presidential palace, Miraflores, and is part of the Economic Recovery Plan that seeks to peg the Petro as the country’s unit of account, as the currency for international exchange and anchor of all the economy. Maduro also announced the government would give a bonus of currency reconversion worth 600 bolivares to help people adapt to this economic process and an increase in the value-added taxes on luxury goods. Maduro said the tax hike would not affect essential food items, services or other goods, required by the majority of the people. Tax payment will be done weekly. “The periodicity changes to make collection faster and in real time, so that money comes in to freshen the public coffers and turn that money into investments,” Maduro explained. Other changes include the introduction of a price system anchored to the Petro. “If the mafias dollarize prices, the government of Venezuela will petroize them,” Maduro argued. The government has also announced gasoline will be sold at international prices for people who do not have the Carnet de la Patria, a card that grants several social and economic benefits for vulnerable populations. Critics say it is an arbitrary move, but the government argues it is the only way to combat smuggling, which represents a high cost for the Venezuelan state.